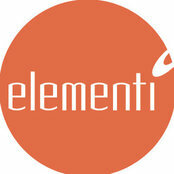 Elementi is dedicated to soft furnishing retailers, designers, and contractors. “Adding to home textiles” is a simple description of the way that we complement the textile merchant by helping them to create a lifestyle product presentation. Our commitment is to use the finest design, materials, and workmanship to inspire the creation of the best possible interiors. Elementi will transform your showroom and your home!